Personalized courses that give you the skills that persuade people to buy into you and your ideas. You have just discovered your new secret weapon. Jonathan Sprinkles’ Master Class is the place where you will master the skills that put the power, influence, and control in your hands. You’ll see…Master Class is different than any other course like it. These tell-all courses take you step-by-step through techniques that will build your skillset, increase your influence, and persuade people to buy into you and your ideas. 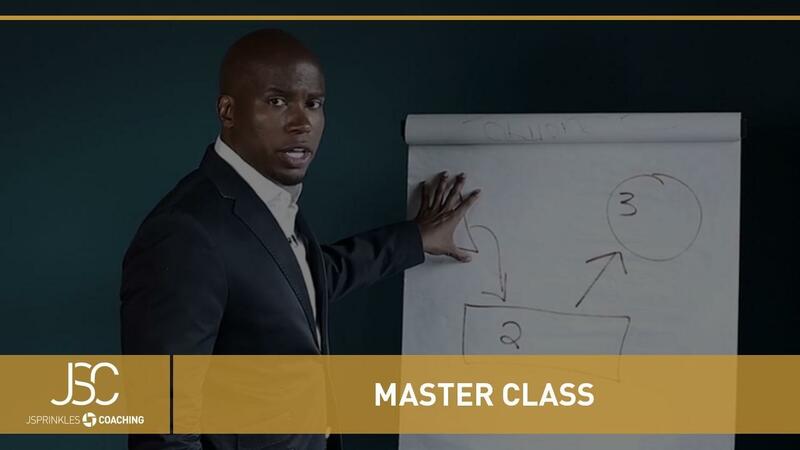 Master Class is designed from elements of psychology, selling, time-tested leadership principles, and street-smart tips for converting even the most skeptical people into faithful followers. You will learn how to make a powerful name for yourself, make a bigger impact in every meeting, and make more money for yourself and your company. 2 complimentary tickets to Presentation Power ($1,594 value) Access from all your devices14 days 100% satisfaction guaranteeComments section: Ask Jonathan anything!